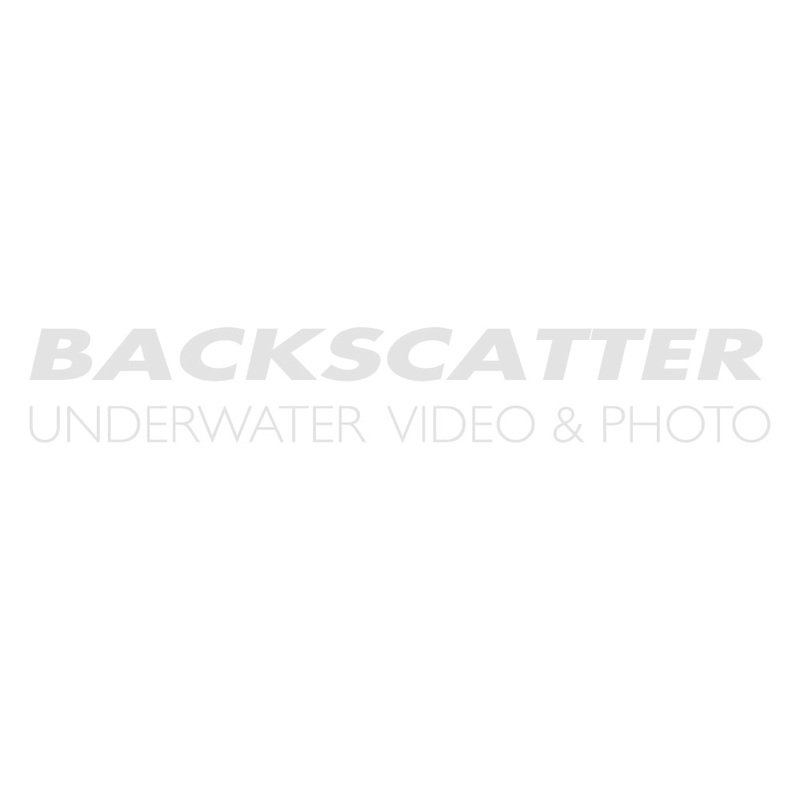 Backscatter is your expert source for underwater strobes. Below you will find a selection of our popular models. Please browse our used and rental selection for additional options. THIS HOUSING HAS BEEN DISCONTINUED!!! PLEASE SEE THE DS-51 STROBE!!! This new model evolves from the Ikelite SubStrobe 50, but features completely revised electronic circuitry for use with the newest cameras, providing both TTL compatibility and the ability to also provide preflashes when combined with our Remote TTL Sensors. This product is no longer in production! The YS-90DX, Sea & Seas latest creation, is quickly becoming a favorite for under water digital photographers. In addition to the same great features as its predecessor, the YS-90, the 90DX has an added power dial for ultimate lighting control. An ultra-compact auto-slave strobe designed specifically for digital cameras. The YS-15AUTOsynchronizes with or without an optional fiber-optic cable to your digital camera's built-in flash. The YS-110 strobe is packed with ground-breaking features designed for the new age of digital photography. The YS-110 TTL strobe is sure to exceed your expectations. The Ikelite DS-51 Substrobe replaces the DS50, which has been a favorite of underwater photographers the world over. In addition to incorporating all the same great features of the DS-50, the DS-51 provides a Manual Exposure Mode with six (6) manual power settings in one-half f-stop increments for precise illumination of subjects underwater. The AutoFlash AF35 kit is an effortless and affordable way to add a flash to your point-and-shoot camera system. Everything you need to get started is in the box - just attach it to the bottom of your housing and start taking pictures! The YS-110 alpha strobe is packed with ground-breaking features designed for the new age of digital photography. The YS-110 alpha TTL strobe is sure to exceed your expectations. The new DS-160 strobe is the replacement for the DS-125 strobe. The SubStrobe DS-160 is compatible with all Ikelite TTL systems and current digital cameras, as well as all older TTL film cameras including the Nikonos system. This converter is equipped with a built-in TTL PCB that connects a Nikon digital SLR with SEA&SEA Series-YS strobes and uses the cameras TTL flash adjustment to control the amount of light put out by the strobe. The DS161 Movie Substrobe combines all of the functionality of the renowned DS160 with a powerful 500 lumen LED video light. This strobe is everything you need for stunning photos and video. The NA-R200 housing is for Nikon wireless speedlight SB-R200, which is compatible with the Nikon Creative Lighting System. The new Sea & Sea YS-02 Strobe features a circular beam angle of 100 degrees x 100 degrees and a guide number of up to 20. The YS-02 is a new compact-type slave strobe that can be used for all applications from wide-angle to macro photography. The UFL-2 is an incredibly light and compact TTL underwater flash that is waterproof up to a water pressure equivalent to a depth of 60 meters. It is specially designed for use with Olympus digital cameras and compatible underwater cases. The Sea & Sea YS-D1 is the most powerful compact strobe currently available. We have tested the YS-D1 against the other strobes currently on the market and the YS-250 is the only strobe to marginally beat it. With easy to use controls, running on 4 AA batteries, and compatibility with both electronic and fiber optic sync cables, it is easy to see why the YS-D1 is the new favorite among underwater shooters. This underwater slave flash requires no cables and enables divers to capture stunning images even in the darkest waters. The UFL-01 is incredibly compact and light weight. It has been designed and specially customized for use with Olympus Digital cameras and Underwater Housings. Waterproof to 40 meters, this underwater flash is one of only a few that allow TTL underwater flash photography in slave mode - ideal for multiple flash applications and single flash macro shots. In a real world, side-by-side comparison, the DS160 remains one of the brightest strobes on the market. More importantly, the quality of light is exceptional due to a round flashtube and reflector designed specifically to delivery the softest, most even coverage possible. This strobe front is compatible with NiCad, NiMH, and Li-ion battery packs as featured on our DS125 and DS160 strobes. Battery pack sold separately. Amazingly compact and so light youll barely notice it, the new UFL-3 underwater flash is a serious tool for serious divers. Waterproof to an incredible 246 feet (75 meters), this adaptable flash is specifically designed to work seamlessly with a number of Olympus camera/underwater housing combinations. The quality of light is exceptional due to a round flash tube and custom powder coated reflector designed specifically to deliver the softest, most even coverage possible. Strobes with a straight flash tube may be capable of high powers, but require the addition of a diffuser to spread out their sharp, rectangular beam pattern and reduce the harsh hot spot. With the 2nd. Generation, state of the art Li-ion battery technology, produces over 450 full power flashes at an unprecedented 1.4 second recycle time.